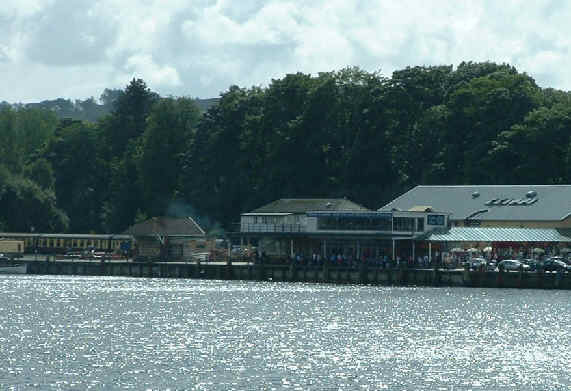 The Lakeside and Haverthwaite Railway runs from the shores of Lake Windermere, this is Lakeside station viewed from a "steamer" on Lake Windermere. 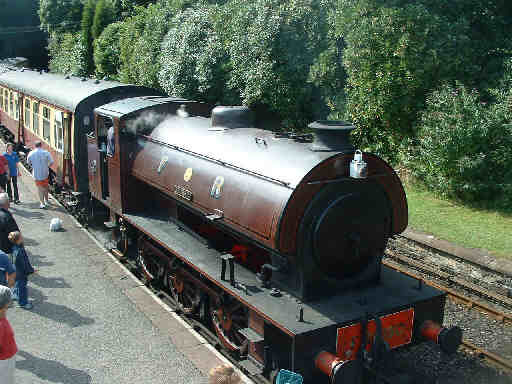 On the station, the train was hauled by a Hunslet 0-6-0ST in Furness Railway livery. 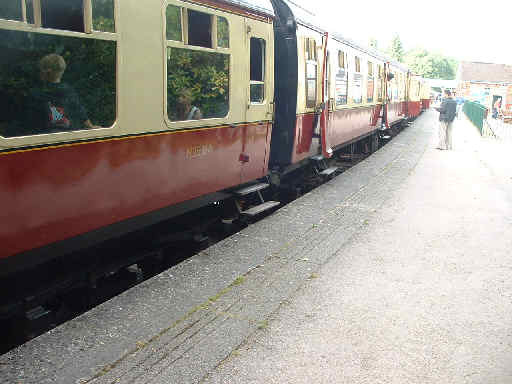 All the lines coaches are BR Mark 1's in smart crimson and cream livery, with an added step to each door due to the low platforms. 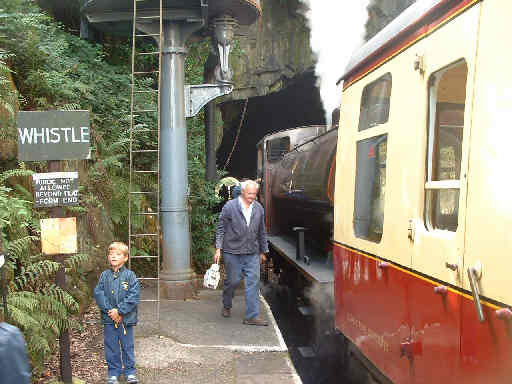 The driver brings the lamp round at Haverthwaite, the station is between two tunnels, one being right on the platform end. 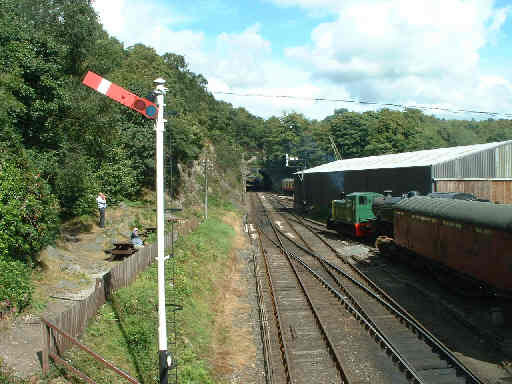 The other tunnel leaves just enough room for a depot alongside the station, there are other sidings beyond the tunnels including this one viewed from the footbridge. 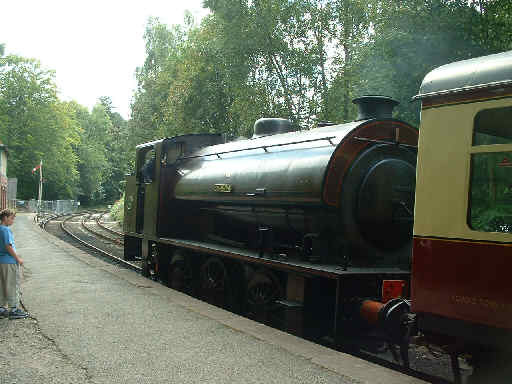 The line's largest loco, a Fairburn LMS design 2-6-4T, 42085. 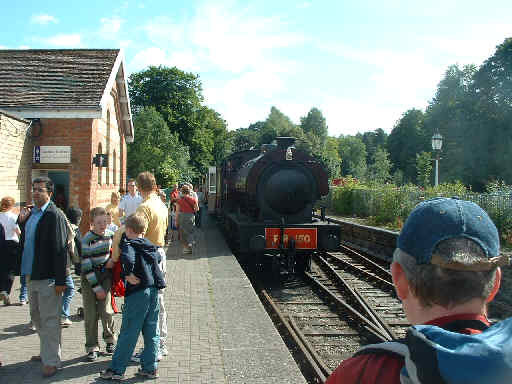 The saddle tank seen from the footbridge after running round. 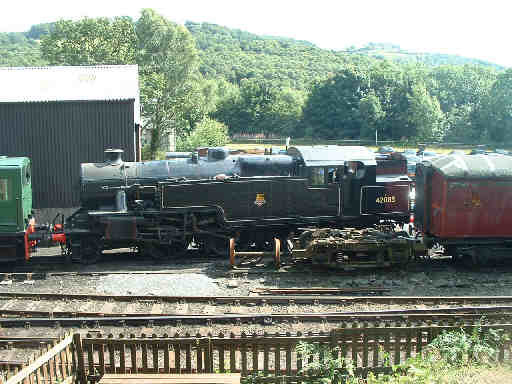 Another view of her, this time after arriving back at Lakeside.